Emirates, one of the world’s fastest-growing airlines, are pleasant 2013 aboard by providing very eye-catching offers for quick-acting clients. Whether your New Year's resolution is to spend more time with family and friends or visit a dream destination Emirates' Economy Class deals, currently available for early bookers, offer something for everyone. Emirates' Globalists are being motivated to fill their backpacks, pack their luggage or grab their laptops and jump on a raft of Economy Class deals, which are currently available for early bookers. The special offers apply to all 128 locations across the Emirates' network when reserved between Dec. 26 and Jan. 10 for travel from Jan. 18 to June 10. 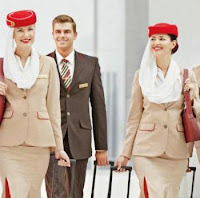 Emirates Holiday Vacations, the airline's tour operating arm, is also providing great savings on all land preparations including tours and excursions, hotels, exchanges and car hire for bookings made during the same marketing and travel period. The Emirates Vacations offer is for journey out of the Kingdom of Saudi Arabia to over 100 destinations. "With our excellent on board product and a lot of interesting destinations - from Buenos Aires and San Francisco in the west to Tokyo and Auckland in the east - there are already many reasons to experience Emirates," said Thierry Antinori, Emirates' EVP-passenger sales globally. "Now, we are treating even more value into Economy Class fares, while giving a warm welcome to 2013. We desire customers to move quickly to protected seats at the best price," included Antinori.